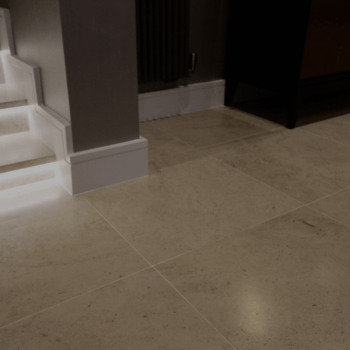 PRD Ceramics are Harrogate floor tilers and whether your project is a kitchen, bathroom, a small downstairs WC or a large open plan dining kitchen we are the floor tiling specialists! We have over 15 years experience tiling floors and our skill, attention to detail and competitive pricing is unrivalled. We can assist you at the very start of the project and give you expert advice on the type of tiles would best suit your situation. We can also help you source the best materials at the best prices, and then complete the job to the highest standard! If you’re looking for the high-end luxury feel of underfloor heating we can help you with this too! As well as our own private clients we also work for major kitchen and bathroom retailers and are trusted by them to install amazing floor tiling in their customers’ homes. 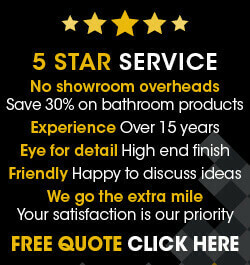 We are very proud of the reputation we have built over the years and we’re pleased to say that much of our floor tiling business comes by recommendations from our previous customers. You can read our testimonials here.